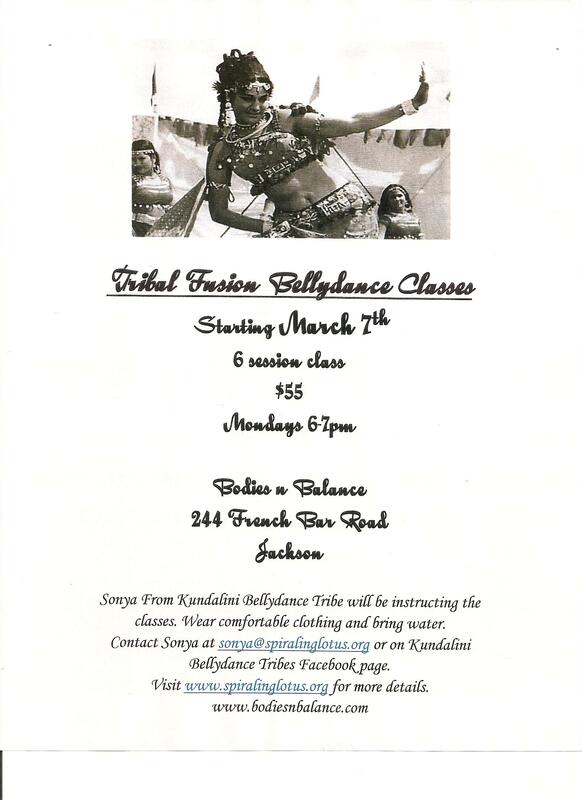 New Belly Dance Classes in Jackson! Sonya Castoe of Kundalini Belly Dance Tribe will be teaching belly dance classes in Jackson starting March 7th at Bodies in Balance! See the flyer for all the details! I’ve included her email in the cc above so you can contact her directly if you are interested. She is a wonderful teacher! Besides belly dance she also does Hoop, Poi, and Fire dancing!